Thought Leader… How did that become such an over-used buzzword? There are so many people claiming to be “thought leaders” these days – using the term synonymously with other buzzwords like “influencer”, “expert” and “guru”. Woah, all these buzzwords… I can practically hear buzzing, like a hornet nest right above my head. 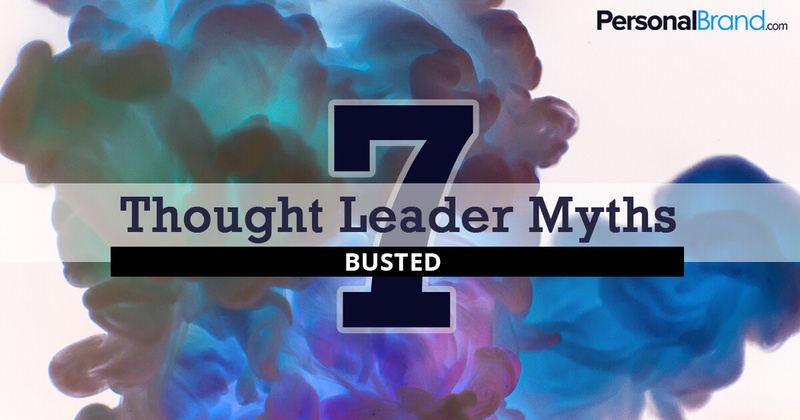 In this post, we are going to debunk the 7 most commonly held beliefs about Thought Leadership that are most-likely holding you back from unleashing the true power of your message to the world, preventing you from making the money and the impact you know you can have. So, let’s jump right into it! 1. In order to be a thought leader you must be perfect in your craft. FALSE! It’s a common misconception that being a thought leader means that you need to have extensive expertise in a particular field. In reality, thought leadership is more about your willingness to share your insights and learnings as you continue to gain more knowledge in your domain. You don’t have to have all of the answers, but you do need to be an excellent researcher and view your lifelong commitment to your selected field of study as a continual work in progress. It’s less about the end result, but the journey you took to get there. 2. In order to be a thought leader ALL of your thoughts must be original. FALSE! Let’s be honest. There are very few “original” ideas that have yet to be explored. But don’t let that stop you from sharing your specific perspective and experience with the world. It’s time to stop focusing on creating a winning “unique point of view” strategy and instead make it your mission to help solve the everyday problems that your audience faces. When contributing to your industry, seek to create content that is actionable and easy to digest, so your reader is more likely to see results. True thought leaders consistently create unique and actionable experiences that inspire people to share and admire ideas that shift existing paradigms of thinking. to learn why you don’t need to be a genius…you just need to be yourself. compiled by Stephen Hawking. His choice of landmark writings by some of the world’s great thinkers traces the brilliant evolution of modern science and shows how each figure built upon the genius of his predecessors. 3. In order to be a thought leader, all you need is world-class expertise on a subject. FALSE! Don’t get me wrong, yes, true expertise must be at the core of your personal brand. However, on the flip side of the coin, it’s easy to get lost in the chase of knowing more. Only invest in learning things that can be applied to get a result right away. Don’t get sucked into learning things that you may not even be able to implement for two, three, five years! Knowledge without action is merely useless. I’ve personally watched thought leaders pursue year-long research projects at the expense of the building and nurturing of their existing communities. It’s an easy trap. Don’t forget to serve your community with content and added value along the way even if you are knee deep in extensive research. Bring your loyal followers along for the journey. Creatively sharing your journey is more important than perfected research in silence waiting for a polished reveal. 4. In order to be a thought leader you need a big following. FALSE! It’s also important to remember that your following will grow along with your journey. If you’re obsessing about the numbers, you aren’t serving for the right reasons. Getting 10 true fans can be more powerful than 1000 fake Instagram followers. What can you do to engage the community you have right NOW? 5. To be a thought leader, you must be first! If competitors arrive at a destination before you do, you need to stop what you’re doing. FALSE! It happens all of the time. You finally feel like you’re ahead and you’ve got the next groundbreaking idea. Then, you see your competition implementing a similar strategy, and they are reaping the rewards. We firmly believe in the concept of “staying in your own lane.” As there is a time for collaboration, there is also a time to focus in on creating the work that you are passionate about and testing and trying ideas and strategies with your specific audience. There is more than enough work to go around, and only you can reach the people you were meant to reach. Competitors might hit a milestone before you, but there is always something you can do or share to push the industry forward. Think about the birds in the sky that fly in a “V” formation. The leader creates a current behind them that makes it easier for other birds to follow, but when the leader tires, another steps up to take its place to lead. This type of mentality creates camaraderie, competition, and in aggregate moves the industry faster. 6. In order to build a successful thought leader business, you have to be professional and serious. FALSE! As you seek to gain the trust and buy-in from your followers, don’t be so quick to compromise your unique personality and viewpoints. 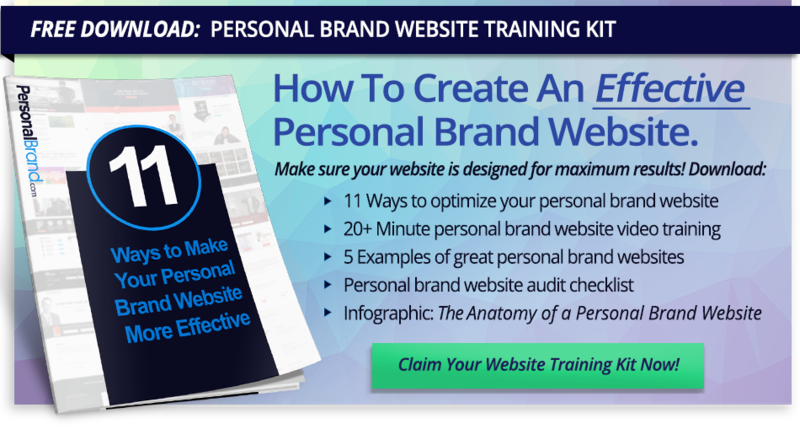 Personal brand experts such as Rachel Hollis, Marie Forleo, Trent Shelton, and Gary Vaynerchuk capitalize on their authenticity and personality. All are having massive success, despite their different approaches to their audience. They are all doers, who say it like it is and understand that it’s not about saying everything perfect all the time, it’s about getting their message out there. Sharing the spotlight is a part of thought leadership. Nobody likes a “know-it-all” – in fact, people run from them. Demonstrating humility, and an openness to other ideas will increase the likelihood of reciprocity from others. Actually working WITH “competitors” could be one of the most strategic things you can do to grow your business. Forming partnerships with other people in your space can provide exposure to a very targeted audience for immediate growth, and help expand your industry and marketshare at large. I’m talking about a bigger slice AND a bigger pie. Win-win! Heck, by working with your competition, you might even discover a blind spot in your thinking that no one else would have the perspective to catch. There are a ton of advantages to partnering up with those who otherwise could be your competition. We’re just scratching the surface here. Now that we’ve cleared the air around thought leadership, it’s time to take action! Don’t let your previously held beliefs hold you back any longer. What are you going to do next in order to move one step closer to being considered a thought leader by your peers and community?